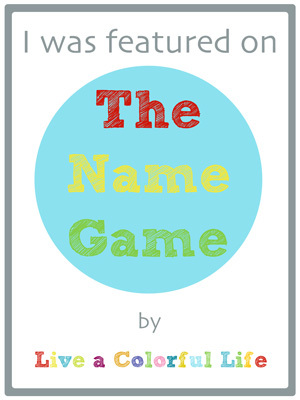 It's always exciting for me when I can have a real-life friend be the focus of The Name Game. Elizabeth and I started our friendship the way so many quilting friendships have begun in this age of technology--through blogging. She sent me some selvages, and included some special French fabric. I thought that was so thoughtful of her, so in turn I made her a pincushion from her French selvages. And our friendship grew from there. Now I've even stayed in her home and have actually been able to touch many of the quilts pictured this week. The name started about when I was attending the University of California-Riverside as an undergrad in Creative Writing (I was a returning student, so it wasn't THAT long ago). I'd just bought a copy of MSWord and in the registration they asked for my company name. I thought about this. I like to write, I like to take photographs, I like to quilt. I don't do any of them for money, for a job, so I would have to say that I did them occasionally. So. . . piecing for a quilt, a piece of art (photograph) and a written piece--it all added up to OccasionalPiece for my fake company name. I set up a blog, grabbed the email from Google and I wrote on that initial blog, including all my quilting and photography. 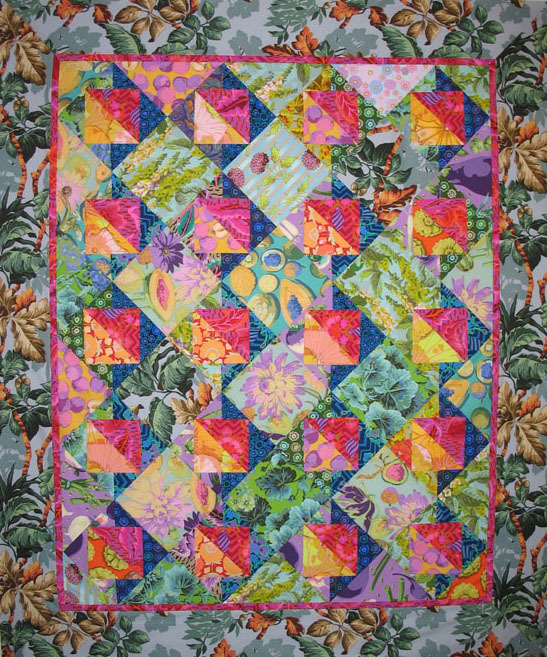 Somewhere along the line, I split off the quilting so that people who were interested in that wouldn't have to wade through all the rest of my stuff, so then it became OccasionalPiece--Quilt. But. . . too many people didn't want to type that all out, so I shortened it to OPQuilt.com. Whenever it's typed in, it mirrors over to my Wordpress blog. Well, I'm pretty happy with it and it's harder to change once people know you as this identity. I still quilt occasionally, write occasionally and take photos whenever I can. So, the name still fits, I think. When I made the switch to this site, I transferred over my quilting blog posts, so this blog has quilting dating back about five years. 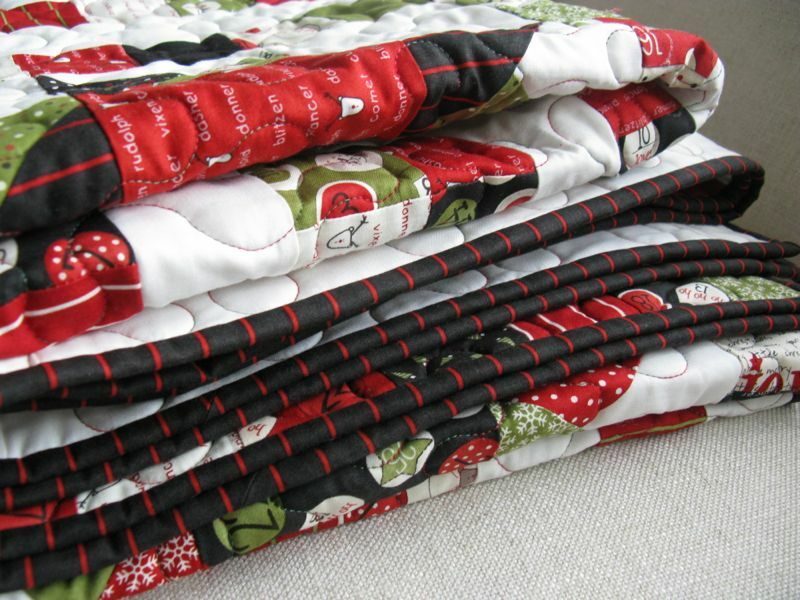 Somewhere along the line I got the bright idea to catalogue all my quilts--they totalled well over a 100, so that's what the 100 Quilts list is about on the blog. Now I'm working on 200 Quilts, but have just started. Want to hear something exciting? Elizabeth came up with a great little giveaway from each of us. She picked up these cute buttons at a quilt show. Each button will also come with a little bundle of fabric. Elizabeth already has her bundles put together and they are really cute. Mine will be a surprise at this point--both to the winners and to me--we'll see what comes together as I reorganize some of my stash. Leave your comments here and I'll choose two winners at 6 p.m. on Wednesday. Elizabeth will be doing the same thing at her blog. 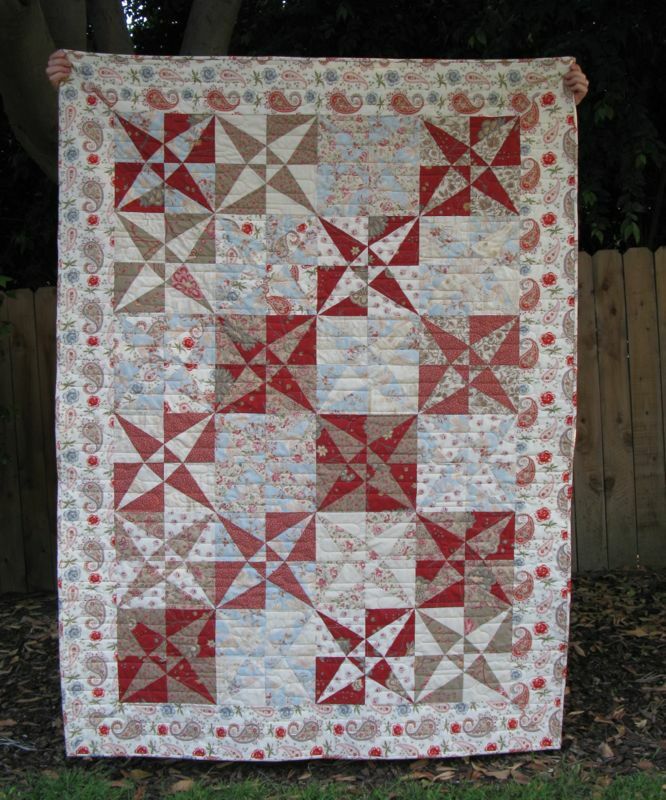 So head on over to OPQuilt and say hi to Elizabeth, and spend some time not only looking at beautiful quilts, but also read some posts--she is a fabulous writer! I agree, Elizabeth is a great writer! 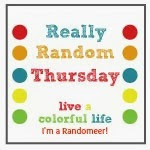 "Runs with Scissors"- a fabulous button- thanks for hosting this special giveaway! The pins are adorable, thanks for the chance! I love how she came up with her "fake business" name! Neat!! Great giveway - count me in please! Hi Cindy. So nice to be able to get to know another bee member a little better. 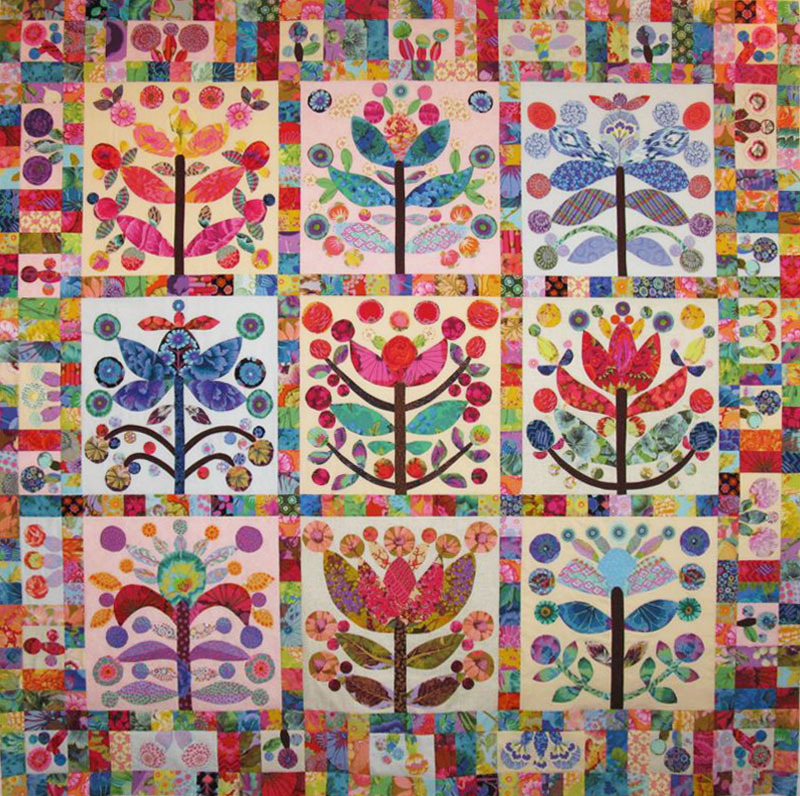 Lovely quilts she has. The buttons are fun! So fun to get to know more about Elizabeth. Thanks Cindy! I follow Elizabeth and have enjoyed reading more about her. Thanks so much for all of the wonderful past pieces photos. Love them! What a great blog post! Its nice to know more about bloggers you follow...plus a name is so important! 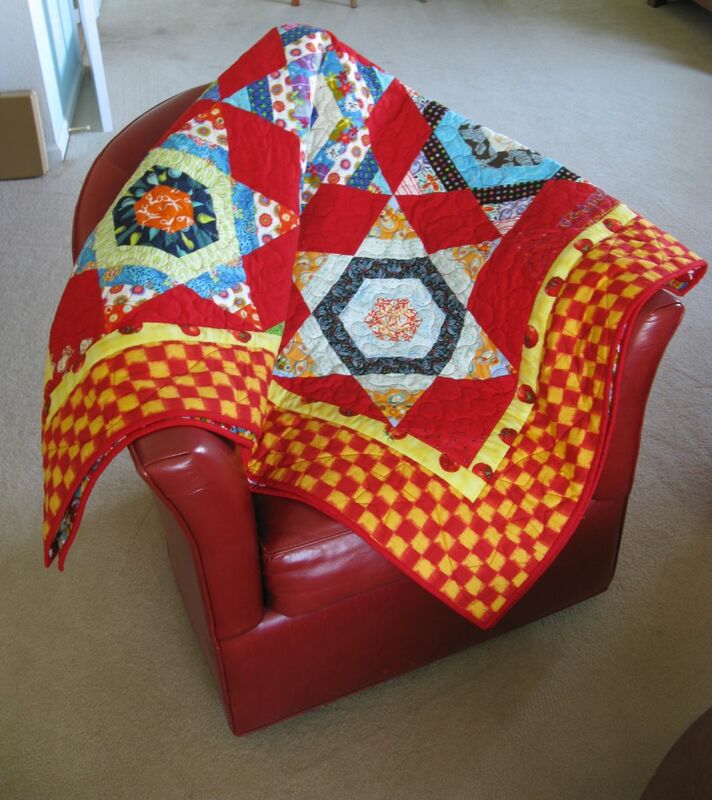 What a great post and wonderful quilts. A giveaway is always nice! 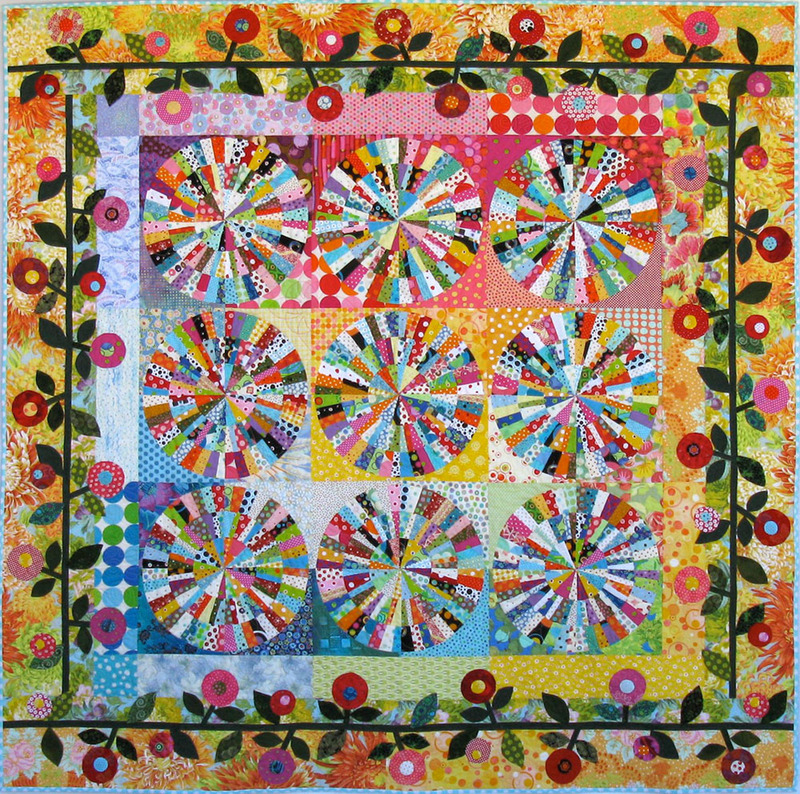 Elizabeth is one talented quilter! Thanks for sharing. And those buttons are too cute! Love learning more about my fellow bee member through this lovely highlight. And it's nice to see more of her work too. 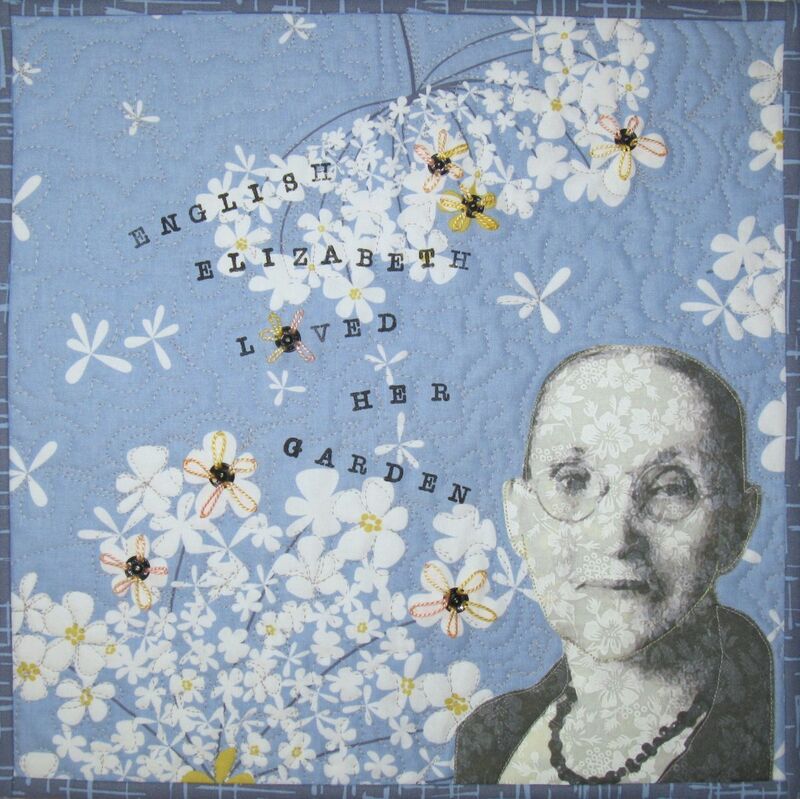 The thing about Elizabeth is she quilts way way more than occasionally. Puts me to shame. Those are awesome buttons! Great giveaway! Over 100 quilts?! I'm in awe! 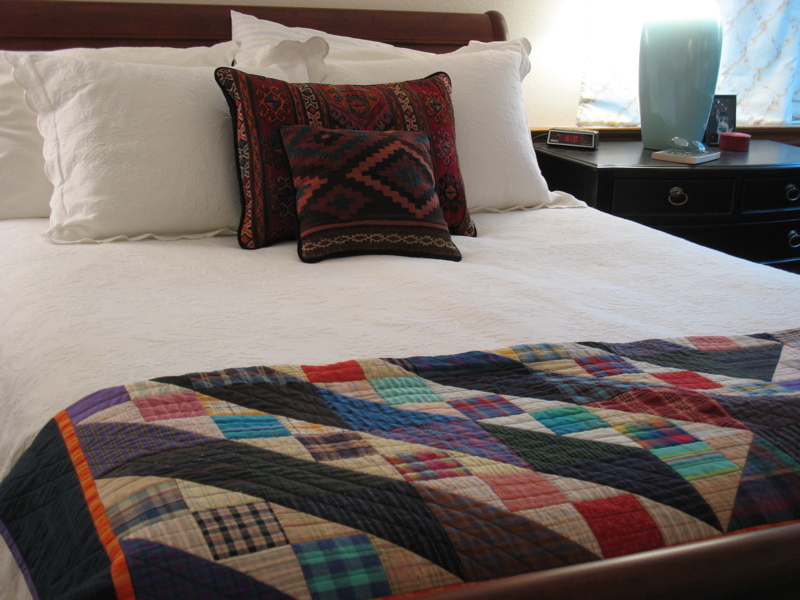 I love the colours in those quilts! Just beautiful! Sometimes I am "Hot Stuff"...but I think that is the hormones speaking! 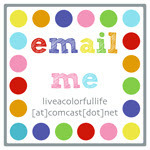 Cute button giveaway following an awesome blog. How fun to learn more about Elizabeth! 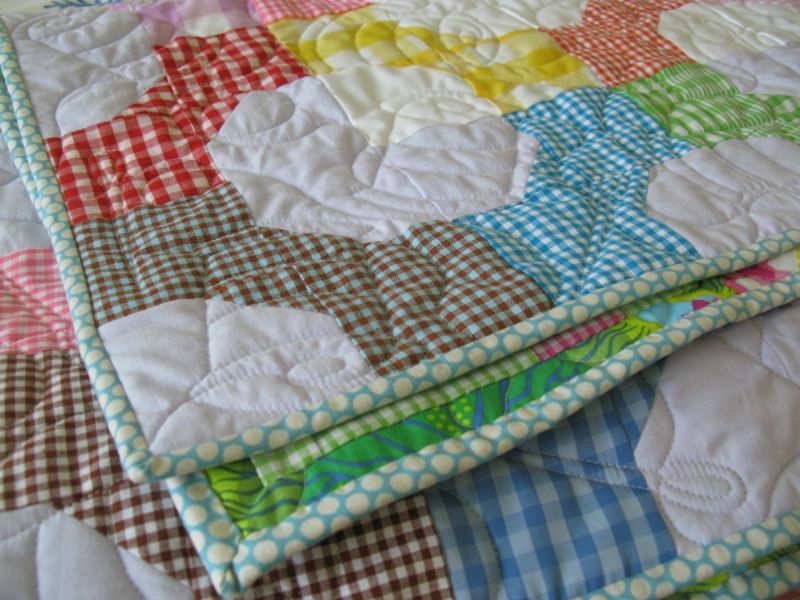 I love her quilts!! 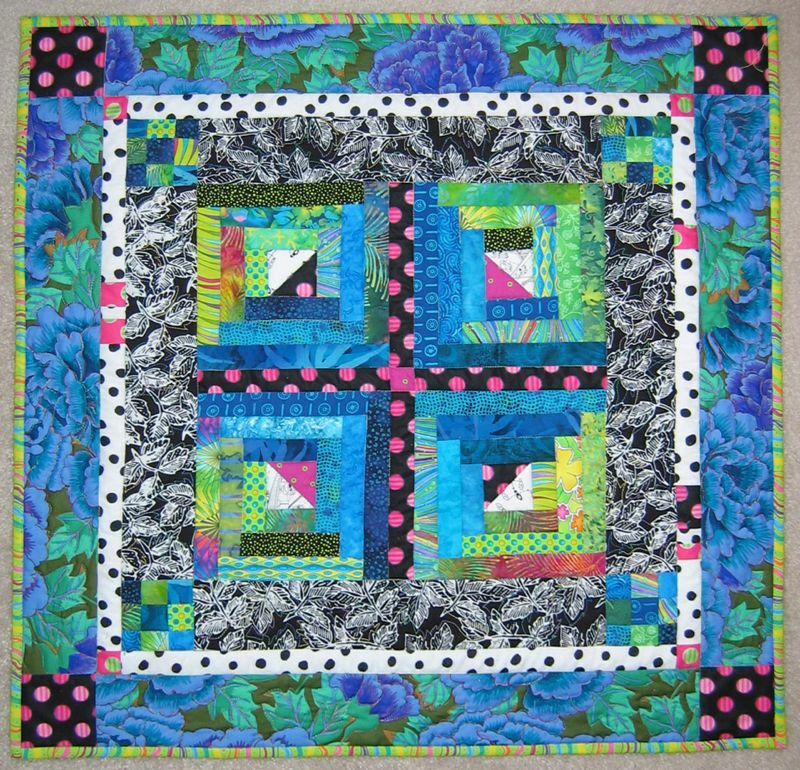 What fun quilts! I really like the English Garden. It's so different. Thank you for sharing Elizabeth, and thank you for the giveaway too. Love those buttons. She seems awesome. Glad you two have connected. The buttons are hilarious, and Elizabeth sounds like such a fun friend! I'll be going over to her blog now, to get to know her a bit!